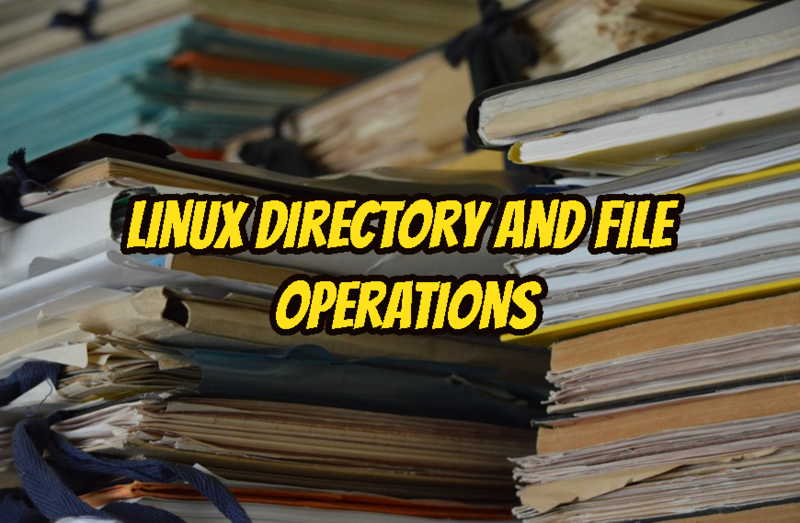 Most basic Linux usage start with Linux file and directory operations. We will look these operations to cover basics. All operating systems have hidden files to hide it from used. It is not security related feature. It it related about operation and reliability. Showing configuration files in home directory have no benefits. So by default hiding them is better. We can go to the home directory by using ~ tilde which means current user home. We can work different systems and directories in day to day operation. We may not remember current directory of the shell. We can get current working directory with pwd command. We may need to delete a file or folder. rm and rmdir are commands used to delete file and directories. -Rf option will make deletion recursive and forcibly.